One of the nation's leading senior housing referral services has highlighted Dayton in their annual list of America's top cities for gay-friendly retirement. Dayton was ranked 9th in the 2019 "Top 20 Cities for LGBTQ Retirement" by SeniorAdvice.com. The website gave a shoutout to local organizations that specifically benefit the LGBTQ community, including Rainbow Elder Care of Greater Dayton, Miami Valley LGBT Horizons of Aging Summit, Senior Resource Connection, Dayton Medical Center - Equitas Health, and The Greater Dayton LGBT Center. According to SeniorAdvice.com, the ranking for the report was determined by "a proprietary data-driven algorithm called SeniorScoreT, which evaluates over 100 variables", including "a number of metrics that are of specific interest to members of the LGBTQ community". The website cited more than 100 senior living facilities in the Dayton area, as well as the numerous local community and senior centers with fun social activities and events for seniors. "Located in Western Ohio, Dayton has a lot to offer its senior LGBTQ residents. 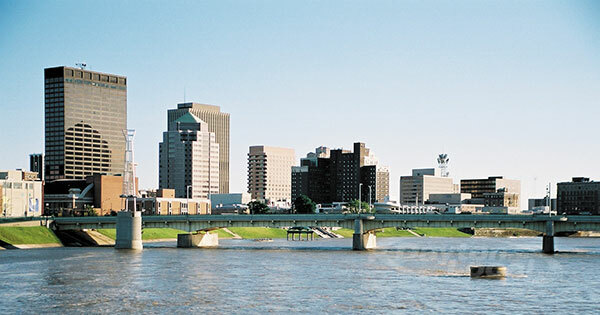 Referred to as "Little Detroit" due to its prominence in manufacturing, the cost of living in Dayton is low compared to similar cities, and it is a good location for older adults who enjoy a variety of parks and trails, and dozens of golf courses. In addition, there are over 300 miles of paved trails and a plethora of metro parks in the city. Several historic neighborhoods attract residents of all backgrounds to Dayton." "A non-discrimination ordinance on the basis of sexual orientation and gender identity in private employment, housing, and public accommodations has been in place in Dayton for several years. It is one of only 6 cities in Ohio with a ban on Conversion Therapy. Dayton is one of several Ohio cities which scored perfectly on the 2018 Human Rights Campaign Municipal Equality Index." For the complete list, visit "Top 20 Cities for LGBTQ Retirement in 2019".